The 17th of October was recognised as The International Day for the Eradication of Poverty, which presents an opportunity to acknowledge the effort and struggle of people living in disadvantaged backgrounds. Bringing an end to poverty is not an easy task and cannot be done by one entity alone. Much of the time, small initiatives can make a great impact to the broader issue. Rural women, such as the mamas of the Clover Mama Afrika project, are often the drivers of change at grassroots level. They are the innovative thinkers and the leaders who take on community projects and small businesses in their communities, creating a real difference in the lives of people who need it the most. The mamas of Clover Mama Afrika are prime examples of those using what they have to provide work opportunities to community members, aiding, be it in a small way, in the eradication of poverty. 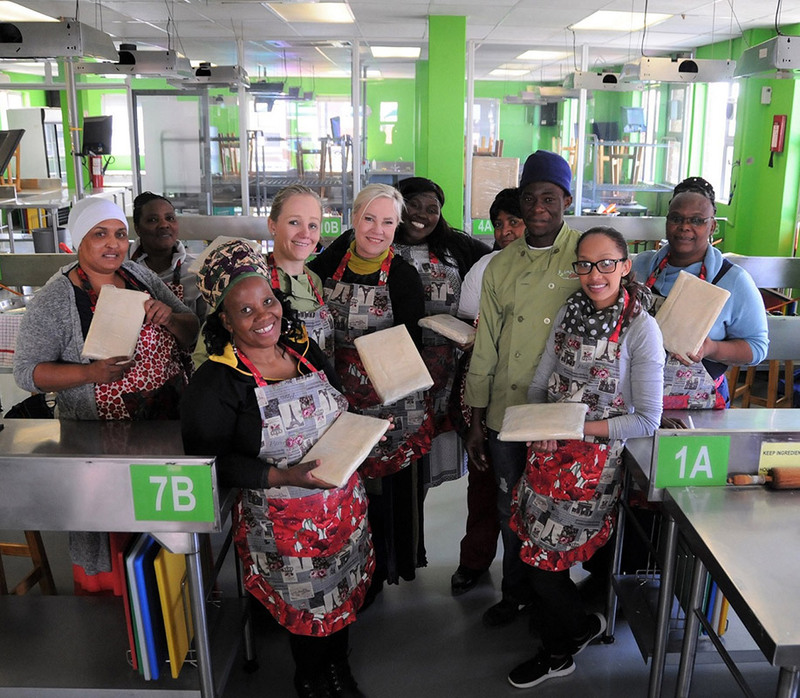 The Clover Mama Afrika project has implemented sustainable initiatives around poverty alleviation that have enhanced skills and provided income opportunities that have positively impacted on the lives of women and poor communities. Prof. Elain Vlok, the Founder of Clover Mama Afrika, observes this day by highlighting the mamas who work hard every day to eradicate poverty in their communities. Prof. Elain provides the example of mama Selestien Moses of the Khayalethu Care Centre in Ashbury, who employs 14 full-time staff members and provides casual work opportunities to other community members when she holds bigger functions. She understands the meaning of hard work as this is what she has been doing from a very early age. Selestien cares for more than 300 children and over 80 elderly by providing them with meals, counselling and ensures that they get what they need. She keeps going because of the love she has in her heart for others and the fact that she can mean something to someone. Prof. Vlok describes Mama Sipiwe Solomons of Hosanna Community Church and Projects, who comes all the way from Mpumalanga, “Sipiwe has 30 members earning an income and provides a feeding scheme for orphans and a hospice and home-based care for 140 children between eight and 14.” She also offers skills training like gardening, sewing and adult literacy classes to unemployed adults, further upskilling her community members. “Other fantastic examples of the Clover Mama Afrika initiative are Mama Florence of the Free State and Mama Mirriam Toni in Mbekweni”, explains Prof. Elain. Mama Florence, who provides a safe haven for over 250 children, is a dynamic woman who excels in all her self-help projects and provides employment to no less than 28 members. Mama Mirriam started the Ncedisizwe Centre in the early 1990’s which has employed 26 members. Mirriam has a passion to share all her new-found knowledge with fellow members so that they can have a chance to uplift their situation. The Clover Mama Afrika project started as a humble project 13 years ago and has since developed into Clover’s flagship CSI programme. The project has to date appointed 42 Mamas throughout South Africa. These remarkable women collectively care for over 15 500 children and 2 500 elderly people, many of which are abused, orphaned, homeless and vulnerable.